Followers will take on the personality and the character of the leader. As a leader, make sure you show the team your very best. — Mark Hertling. No truer words on management have ever been spoken. Every leader is the model for their team. While looking for some good summer history reading, I found the book America's Hundred Thousand: U.S. Production Fighters of World War II. This book covers the production miracle associated with scaling up up the US aircraft industry to supply planes for every front during WW2. Its title refers to the fact that the US produced ~100K fighter aircraft during WW2, which lasted for 44 months for the US (Figure 2). I decided that I would look at the numbers for all forms of aircraft produced by the US during WW2. Fortunately, the Hyperwar website has put the Army Air Forces Statistical Digest online, which gives me easy access to the data. The Digest contains aircraft production data for both the US and Canada. Figure 1 shows the production numbers for the 11 categories of aircraft production listed in the Statistical Digest. In addition to 100K fighter aircraft, there were nearly 200K of other aircraft manufactured as well. I should mention that different WW2 sources have somewhat different totals. Some databases show more than 100K fighters having been produced by the US and Canada during WW2. This is because of a number of experimental and special purpose versions of aircraft being manufactured. 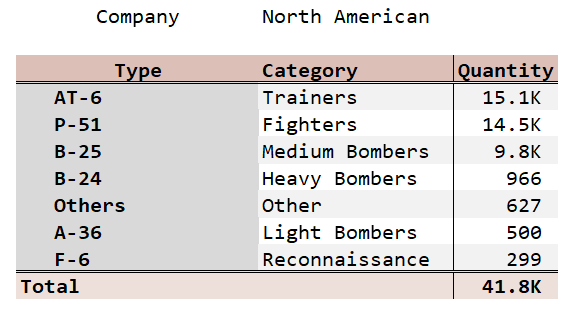 The tables I chose in the Hyperwar database include a class of aircraft called "other" that includes these unusual units. Other databases eliminate the "other" category and include these aircraft in a related category. The increase in the level of aircraft production is easy to see using Figure 3. 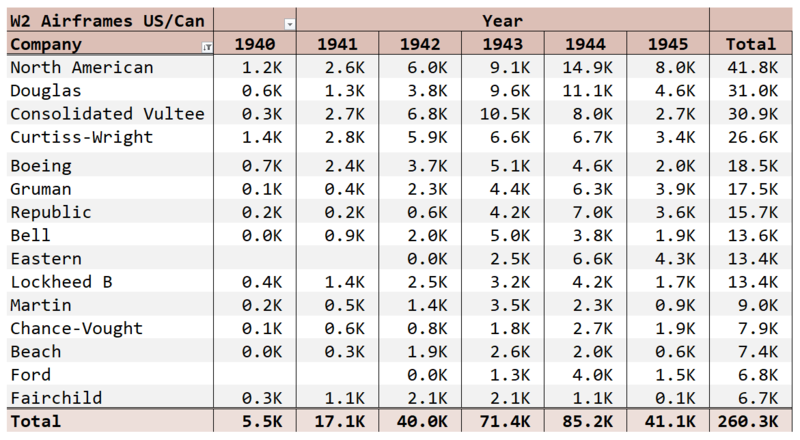 Figure 3: WW2 US and Canada Aircraft Production Numbers By Year. You can see the scope of the effort in the US by looking at the number of states where the production occurred – 24 states out of 48 were producing aircraft (Figure 4). I would have expected that California would dominate all the other states in terms of production because it was the prewar heart of US aircraft production. The table shows that other states, like New York and Kansas, also had significant production. Figure 4: Aircraft Production By State Plus Canada. There were 53 companies making aircraft during WW2, plus thousands of subcontractors. Figure 5 shows the top 15. Notice how Ford is in the top 15 of aircraft manufacturers. During WW2, they set up an assembly line for B-24 bombers at Willow Run. 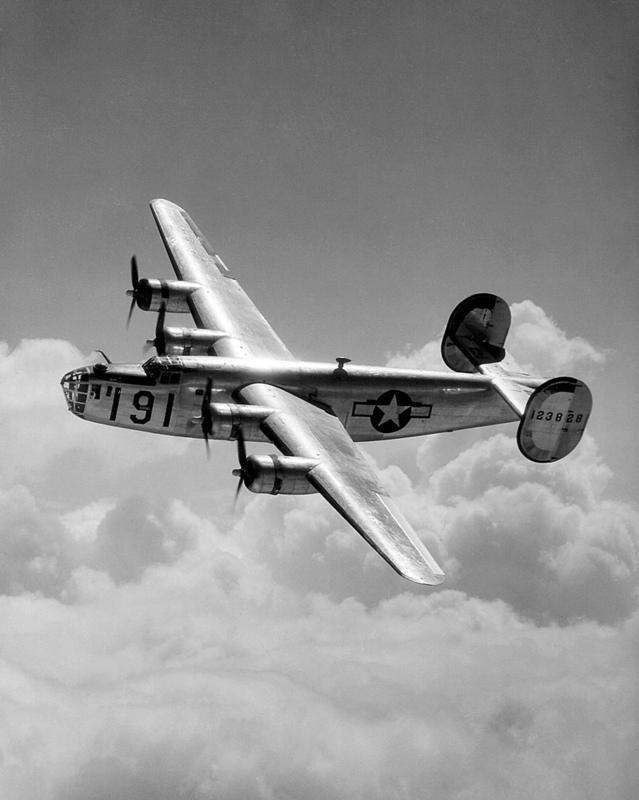 At one point, 70% of the B-24 production was from Willow Run. Figure 5: Top 15 Companies For Aircraft Production. In Figure 6, I broke out the production for North American Aviation because it was so massive. Its portfolio included iconic aircraft like the P-51, B-25, and B-24. I should mention that the A-36 was a ground attack version of the P-51, so you could argue that production of the AT-6 and P-51 were about equal. Figure 6: Aircraft Produced By North American Aviation During WW2. The US and Canada produced nearly 300K airframes during WW2. Figure 7 shows the percentage breakdown by major category. While fighter planes may have dominated in quantity, the B-29 very heavy bomber dominated in terms of development cost. At $3 billion dollars, it was the single most expensive development program during WW2 – its cost beat the Manhattan project by $1 billion. Figure 7: Aircraft Manufactured Percentages By Category. For those who are interested, my workbook is here. This entry was posted in History Through Spreadsheets. Bookmark the permalink. Hi there. I'm here because I have been researching my father who was an aeronautical engineer in British air force and couldn't understand why he was sent to US during the 2nd WW until someone recently told me British planes would have been built in US so that was probably why he was sent. I'm not an expert on aircraft and just wondered if that was true? I cannot speak to your father's work specifically, but there was a massive amount of technology transfer between the UK and the US before and during the war. It occurred in all industries, especially the aircraft industry. I am not familiar with British aircraft designs being built in the US during the war, but MANY US aircraft (example: P-51 Mustangs) and critical components (example: Merlin engines built by Packard) were built under contract for the UK with UK engineers onsite to oversee the work. This document discusses some of these contacts. UK's Tube Alloy project provided the critical start for the US A-bomb program. Transfer of the cavity magnetron tube provided a critical leap in radar technology for the US. The design of the Liberty Ships, LSTs, and PT Boats. The list goes on and on. Thank you for your question. Sorry for the bad link. I have repaired it. The document is useful and provides some historical background.